Make a difference in the life of children with special needs! 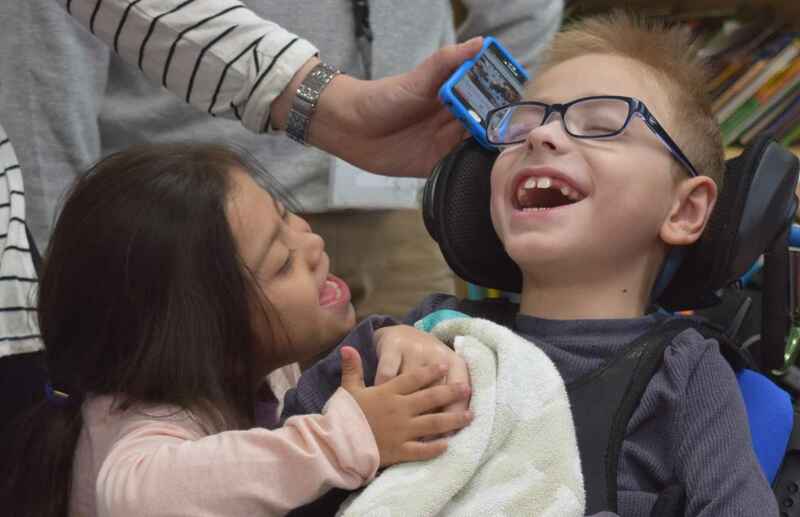 The Hagedorn Little Village School, Jack Joel Center for Special Children (HLVS) has provided exemplary educational and therapeutic services for children with developmental disabilities since 1969. Although our non-profit school receives government funding at the county and state level, an important portion of our support comes from the generosity of the private sector. There are a variety of ways that you can give to our school, just click on the Donate button! My daughter had services through Little Village and they're amazing. We love their dedication. A cause that is so needed and under-served. I loving memory of Jacob Fucignas, 6 month old son of Jennifer and Tommy. He was the light of their lives and gone to soon. In honor of Kerick and the entire Apostol family. We love you! In memory of Joan Egan, her daughter Kathy Egan was a great friend and former resident of the Windcrest community in Bay Shore, NY.